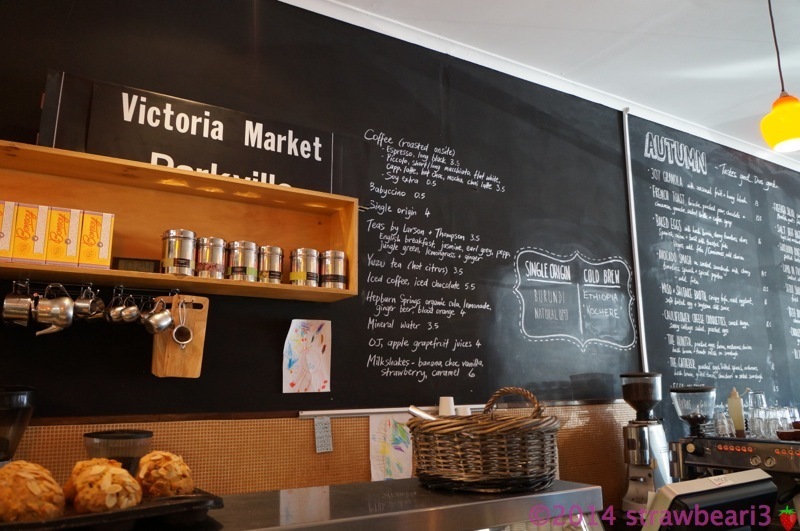 Streat Cafe (Flemington) represents a noble enterprise where troubled or disadvantaged youth are given employment and receive training in the hospitality industry. My sister-in-law recommended this place to us and we were not disappointed. The cafe itself reflects their mission in its modesty but this also leaves the food to do the talking. It was already mid morning when we reached there do we decided to make it more of a brunch than a breakfast. We started with our regular coffees: skinny mocha ($3.5) for me and flat white ($3.5) for D.
The mocha was just okay but D said the flat white was very good. 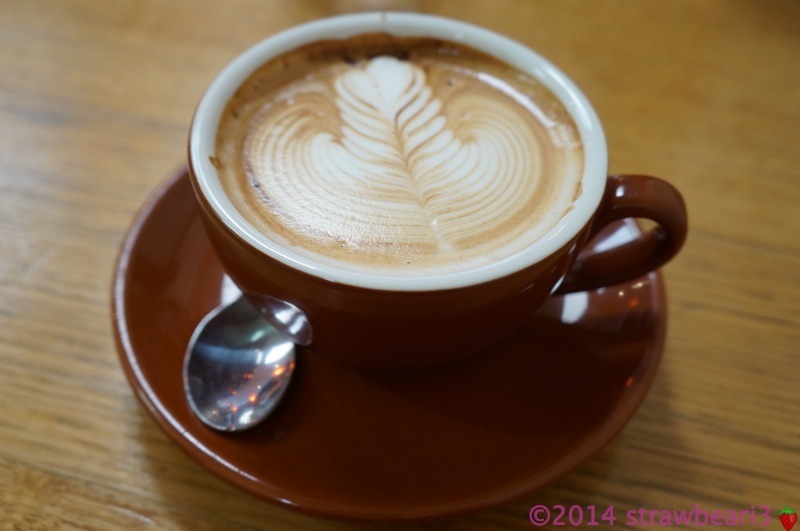 Unfortunately after trying the mocha at Hardware Société, my expectations have been set very high. For brunch we decided to order one sweet and one savoury. 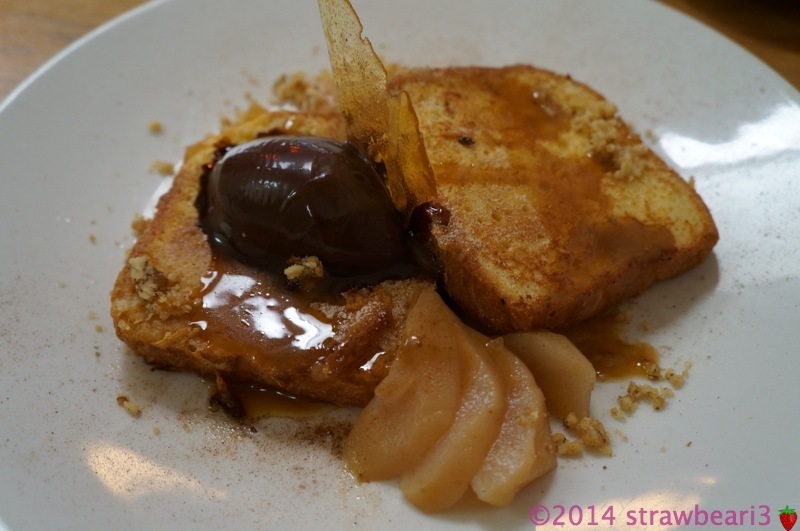 I chose the French Toast Brioche, Poached Pear, Chocolate and Cinnamon Ganache, Walnut Brittle and Coffee Syrup ($15.50). 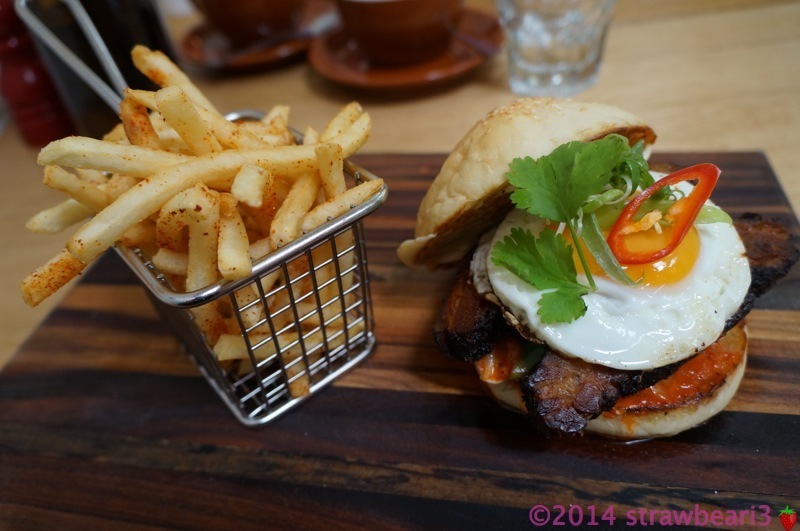 D chose the Seoul Sanga, Pork Belly sandwich with housemade Kimchi, Fried Egg and Kochukaru Fries ($17.50). The Seoul Sanga was definitely the star dish. The fat had been rendered down nicely and the balance of flavours with the house kimchi was perfect. The fries were also a good accompaniment. The French Toast was also very yummy but I possibly over estimated my sweet tooth and found it far too sweet for that time of the morning. 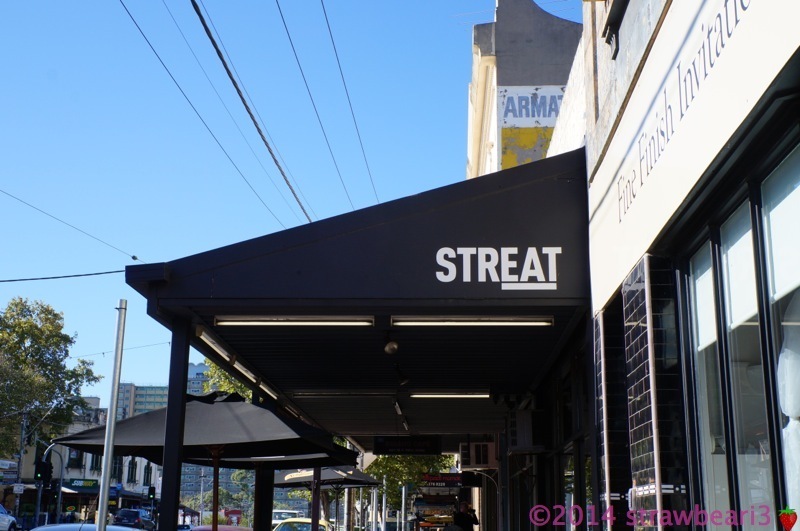 Streat has opened a number of cafés around Melbourne and if this one is anything to go by, I strongly recommend you check them out. 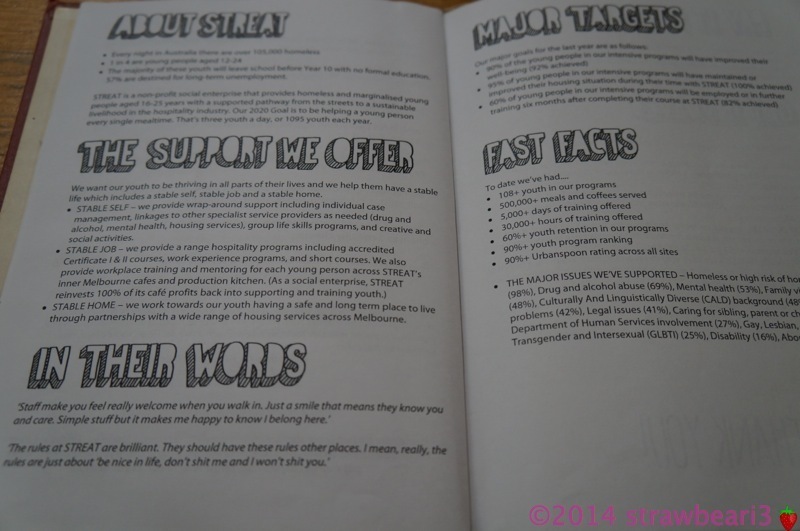 There are many restaurant choices for breakfast, but few that help to put people’s lives back on track as Streat does. Good on them! Definitely worth the support!